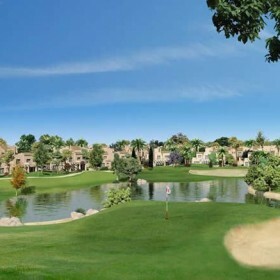 Lush fairways, water, palm trees… Roda Golf is a gorgeous course. Its natural beauty is the result of careful planning and technical expertise. 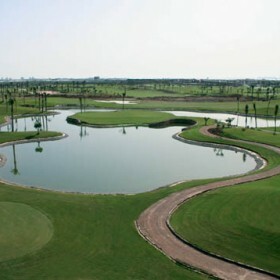 This excellent 18-hole, par 72 golf course was exclusively designed by Dave Thomas, one of the most prestigious European golf course designers. He managed to create it by combining different environments and working for a total adaptation to the Mediterranean landscape and vegetation. 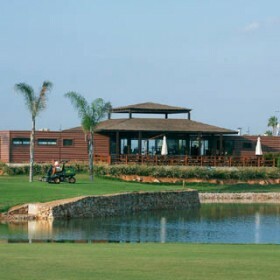 Especially the seventh hole, a short par three with an intimidating island green, is a clever piece of course design. Not least because it is placed right in front of the clubhouse. Roda is the winter headquaters of the PGA.